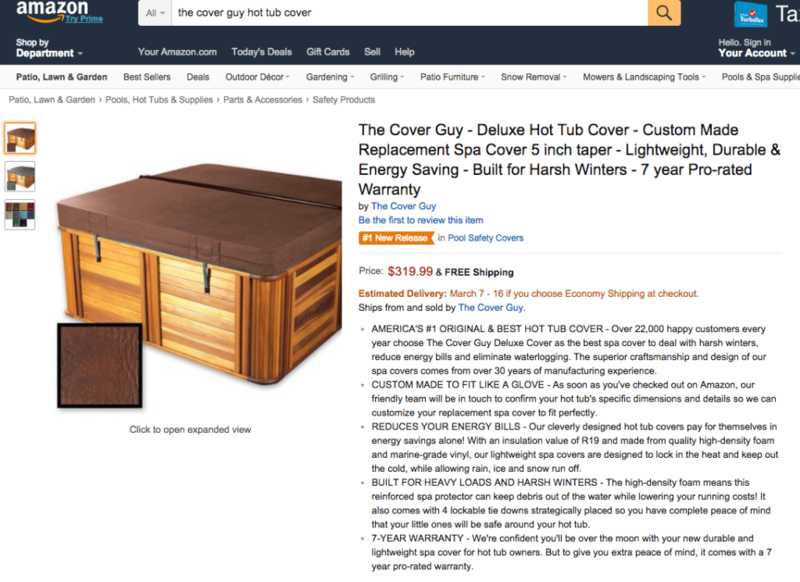 The Cover Guy hired me as an Amazon listing expert to write a compelling title, bullets and product description for their hot tub covers. I used the Amazing.com 10-step formula, balancing strategic SEO keyword placement with persuasive sales copy to make sure the listing ranks high and converts sales. Within two weeks of writing the Amazon listing, this product became the #1 new release in its category.